LG-185 Lasergrips for Taurus Small Frame revolvers features a hard polymer surface that is rugged and well suited for personal defense. The smooth feel of the polymer provides for a prompt, snag-free draw. LG-185 laser grips sights include the durability, sighting adjustments, and the defensive advantage that Crimson Trace is known for. Front Instinctive Activation button. OVER FOUR HOURS OF BATTERY LIFE: Powered by two #2032 Batteries (included). 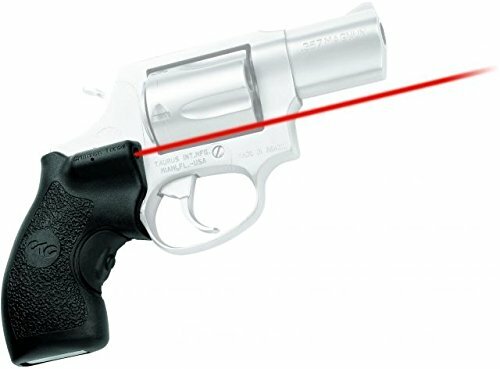 This product is eligible for Crimson Trace's Free Batteries For Life Program.